Is it 17,000 hectares or 56,000 hectares earmarked for residential development for 2.6 million more residents? With elections in Ontario less than a month away, housing affordability remains first and foremost on the electorate’s mind. Housing and land prices in urban Ontario experienced a dramatic increase since the last provincial elections in 2013. The Liberal government finally responded in April 2017 by imposing new transfer taxes on foreign homebuyers and legislating additional restraints on landlords. The changes arrested the increase in housing prices but caused a huge decline in the number of housing transactions. By June 2017, for instance, housing sales were down by 38 per cent year-over-year. 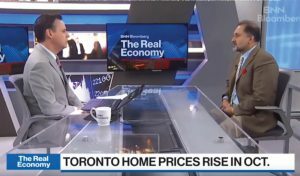 Housing prices in large urban markets in Ontario, including the Greater Toronto Area (GTA), appear to be rising again. 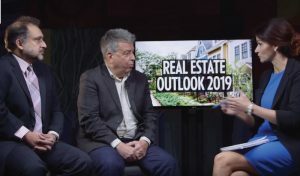 As housing markets recover from the regulatory shocks and uncertainty, as they did in British Columbia, the Ontario electorate is keen to determine whether the political parties competing for their votes have any plans or insights to improve affordability for new homebuyers and renters. Two competing schools of thought have emerged on what is behind the eroding housing affordability in urban Ontario. 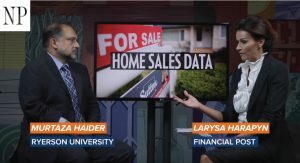 One blames the demand-side factors, such as historically low mortgage rates and foreign homebuyers, among others, for housing price escalation. The same group also accuses builders and developers of hoarding land to create an artificial shortage of land that can be developed, though offers no proof in support. The other group blames excessive regulations that restrict the supply of developable land, which raises land prices, leading to even higher housing prices. This group calls for releasing more land for development and advocates less-stringent development regulations. While housing prices were fluctuating in Ontario, the provincial government in May 2017 released its revised and updated long-term Growth Plan for the Greater Golden Horseshoe that stipulates expected population and employment growth targets for the region, designates developable land, and stipulates minimum density thresholds for future development. The Growth Plan is explicit about certain provisions. It designates 800,000 hectares of ecologically sensitive land as greenbelt on which any future development is prohibited. It also stipulates that most new development should occur in already-designated built-up areas with minimum population density threshold of 50 persons plus jobs per hectare that will be raised to 80 in the future. A contentious debate continues about how much developable greenfield land is in the greater Toronto-plus Hamilton area (GTHA). 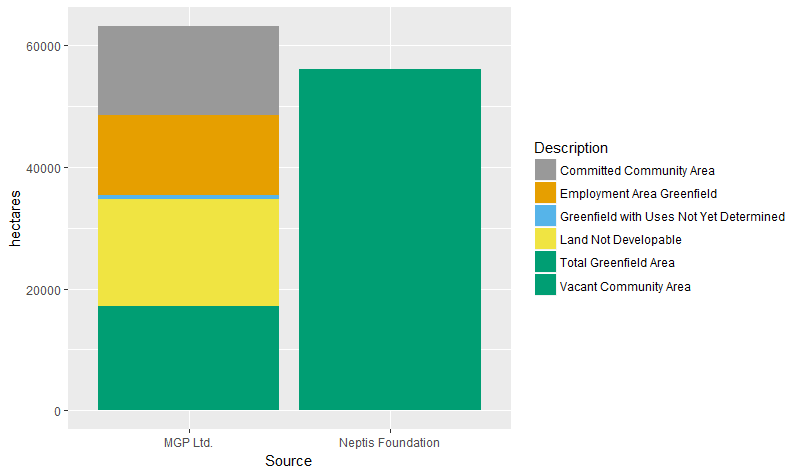 Neptis Foundation, a Toronto urban research group, claims that enough gross land — 56,200 hectares — has been earmarked to absorb all types of development targets by 2031. On the other hand, development consultants Malone Given Parsons (MGP) estimates that a mere 17,200 hectares is available for residential development after one excludes non-developable land (marshes, wetlands, cemeteries, etc. ), land designated for commercial uses and land already under development. MGP further questions whether the minimum density threshold of 80 persons plus jobs per hectare is even possible in (or feasible for) remote suburban communities. Whereas consensus evades the land-supply question, all concerned agree that the supply of single-family housing units has not kept pace in the region. Consider the City of Toronto where 83 per cent of the 84,343 residential units completed between 2012 and 2016 were condominium apartments. And while the housing prices rapidly escalated in the GTA, housing starts declined by 8.6 per cent between 2015 and 2016. Such lopsided housing development patterns worsen affordability because they create a mismatch between what consumers want and what markets are supplying. 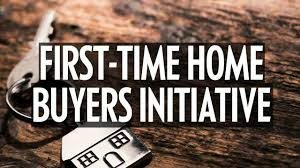 Recent surveys revealed that whereas 65 per cent of Canadian homebuyers preferred single-family homes, 82.5 per cent of the homes supplied were multi-family (condominiums). That excessive land development regulations constrain the supply of new housing is also a consensus argument. Research by leading urban economists demonstrates that excessive development regulations are correlated with lower housing supply and higher prices. It didn’t help the region when a 2016 Fraser Institute report revealed that Toronto was the most regulated city in Canada where approval times for land development were two-times higher than in other urban centres. The provincial elections provide a unique opportunity to rethink the housing puzzle in urban Ontario where the challenges are acute in the Toronto region. The supply-side of the housing equation is not working. This does not imply that one paves over the ecologically sensitive lands. Such a knee-jerk reaction will be highly irresponsible and short-sighted. What the province needs is an articulation of policies and incentives to fix the supply-side constraints. Status quo, and hence the current policy regimes, are not making any long-term dent in making housing affordable. A change in direction and thinking is due. It is therefore imperative that political leaders vying for the support must share their visions about land and housing challenges so that the electorate may make an informed choice on June 7.